Yon rega sou aktyalite a nan lemond an foto. 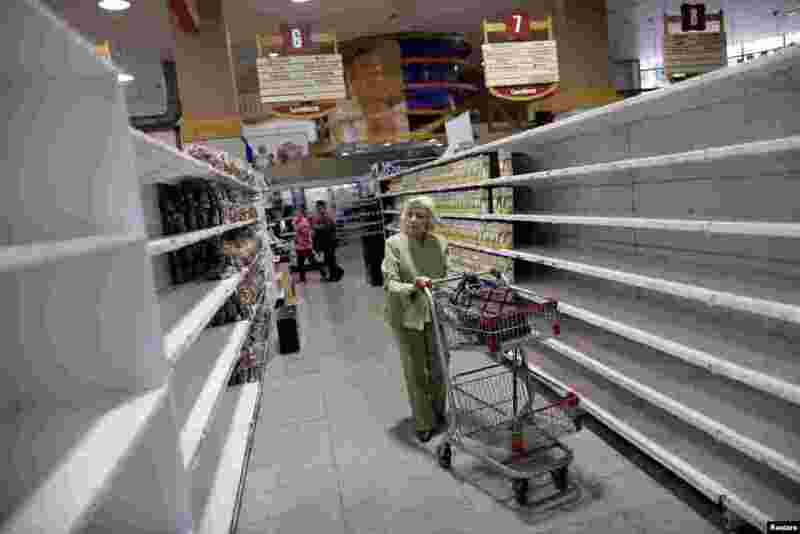 5 People buy food and other staple goods in a supermarket in Caracas, Venezuela. 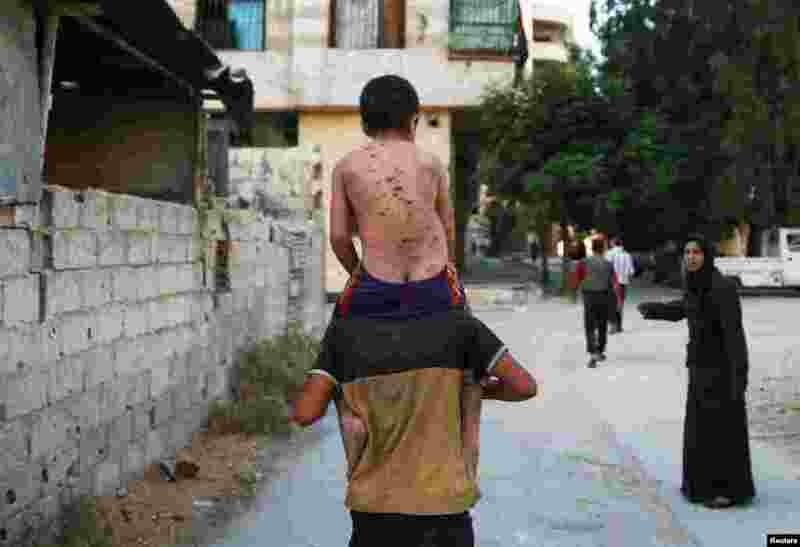 6 A man carries a wounded boy on his back in Arbin, a town in the Damascus countryside, Syria. 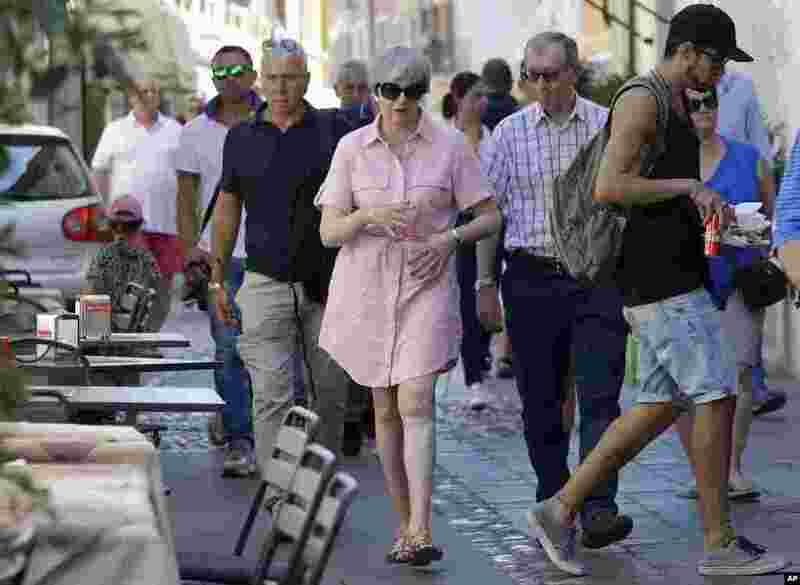 7 Britain Prime Minister Theresa May, left, walks with her husband Philip in Desenzano del Garda, by the Garda lake in northern Italy. May is spending her holidays in northern Italy. 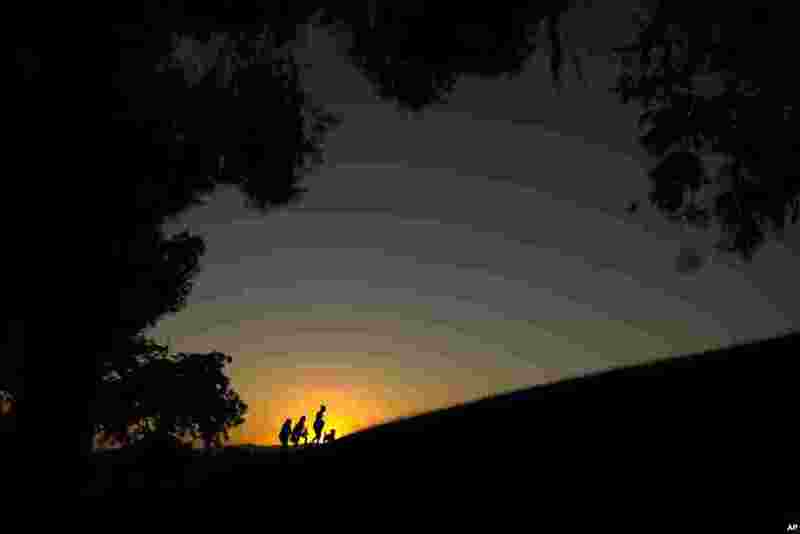 8 People walk atop a hill as the sun sets on a summer day at the Tio Pio park in Madrid, Spain, July 24, 2017.